Most owners of income properties chose to become landlords as a way to create a primary or additional revenue stream. While some may have inherited their rentals from family members, many purchase one or more rental properties as an investment. When this is the case, the landlord must manage paying a monthly mortgage and insurance on top of the regular expenses that come with rentals, including property taxes, advertising costs, maintenance and repairs, renovations and property management expenses (if you use a property management company). Rental properties are a long-term investment that do not always increase the landlord’s income as much as they had hoped. This is particularly true when the monthly mortgage payment is close to the maximum rent they can hope to receive from the property each month. There are many ways to increase your income as a landlord by minimizing expenses, maximizing tax deductions, and protecting your investment with security deposits and preventive maintenance. In this article, the focus is on maximizing your rental income by increasing the amount of rent you can potentially receive from your property through interior and exterior upgrades. The trick to maximizing your income in this manner is to make smart renovations and upgrades that make sense and will increase the amount of rent potential tenants are willing to pay while not wasting money on renovations that really do not matter. Attracting better renters who are willing and able to pay higher rents for nicer rental homes usually means attracting renters who will take better care of your property while they are living in your home. This means that attracting higher-paying renters can directly increase your monthly rental income, but it can also increase your revenue by potentially saving you money on repairs and damages in the future. Making smart renovations can also increase the value of your rental and increase your equity, which is a great way to build your personal wealth. Adding a bedroom without increasing the home’s square footage is not always possible, but if you can swing it, it is a great way to increase your rental’s potential income. Building codes determine what is officially considered a bedroom, so to make sure your additional bedroom is up to code, you will want to check with your local governing body before you get started. You will want to connect with your local building department anyways, because you need to have a permit to perform this home improvement if you want it to be considered a bedroom when renting or selling your home in the future. Most California landlords will find that in order for their room to be called a bedroom, they will need to make sure it is a room that is completely enclosed with a door, a closet and a window to the outside. Not all homes are going to have extra space that can be converted in a bedroom, but if your home has a bonus room, family room, over-sized closet or an unused laundry room that is large enough to turn into a bedroom, you may be able to increase the number of bedrooms in your home at a relatively low cost. Carpet and vinyl are go-to flooring options for landlords. They are inexpensive, relatively durable and attractive enough to convince potential renters to lease your home. If your goal is to quickly and cheaply get your home ready to rent, carpet and vinyl are the way to go. If your goal is to increase the value of your rental home and increase the amount of rent you can charge, then you should consider going with laminate flooring. Wood flooring is, of course, a higher-end finish that would be even more appealing to potential renters, but laminate flooring is much more affordable and generally more durable for rental situations, so it is usually a better investment for landlords. While laminate flooring does not have the same value-increasing potential as wood flooring, it can help you attract better renters and earn more from your rental. Just like when you are a selling a house, bathrooms and kitchens make the biggest difference when it comes to your rental’s wow factor. People love bathrooms and kitchens that are clean, updated and upgraded, which makes this a great way to immediately increase the appeal of your rental. This is a big investment and one that most landlords avoid, particularly since it is not necessary to have great kitchens and bathrooms to get your house rented. Most landlords do just fine finding tenants for their rentals with dated kitchens and bathrooms that have simply been getting new coats of paint between tenants for the last 20 years. However, if you have a nicer rental home that you want to take to the next level in order to maximize the rent you can charge, this is a renovation you should consider. Also keep in mind that this is the type of upgrade that increases the value of your income property if you think you might want to sell or pull out equity in the future. If your rental renovation budget does not include completely redoing the kitchen or bathroom, you can still make a big difference in your rental’s appearance by simply upgrading the fixtures. New door knobs, faucets and cabinet hardware can go a long way when it comes to increasing your rental’s visual appeal and attracting better renters. You should also consider replacing window coverings, particularly if you have broken blinds, and replacing old light fixtures with trendy, new options. Every rental can benefit from the addition of a patio, but owners of higher-end rentals in areas like Southern California should be particularly concerned with the quality of their rentals’ outdoor living areas. 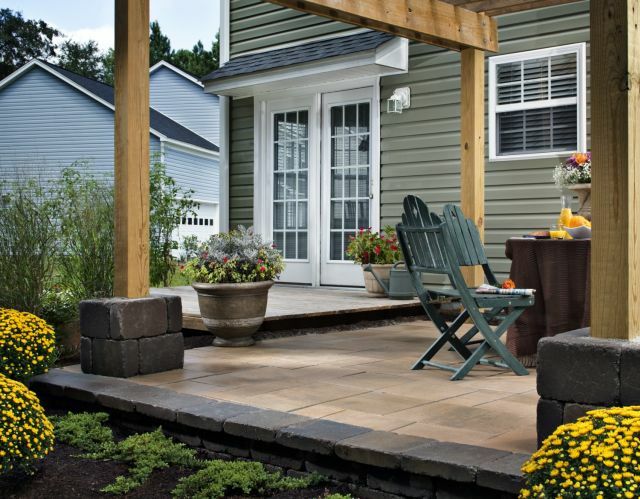 Tenants who can afford nicer rental homes will expect, at minimum, a backyard patio, but an upgraded area for outdoor entertaining can sometimes have just as much of a wow factor as a remodeled bathroom or kitchen. 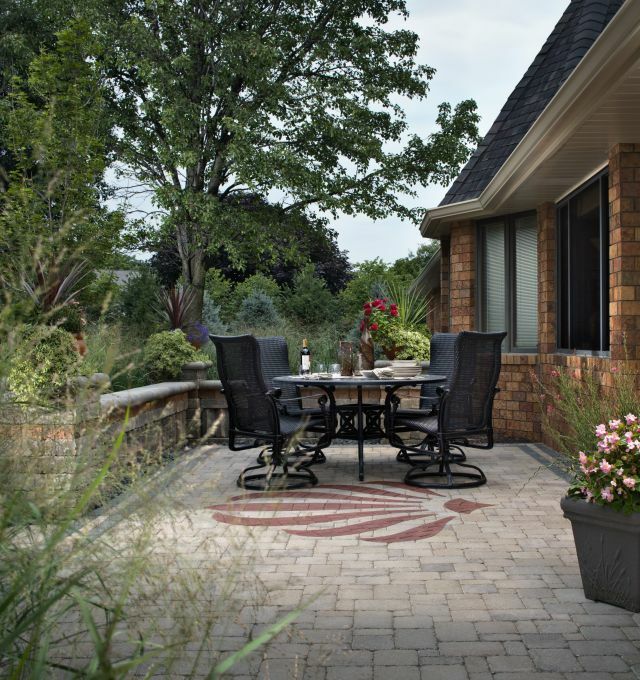 Paving stone walkways and patios are impressive to potential home buyers, and they are just as impressive to potential renters. If renters can imagine themselves entertaining colleagues or friends in an elegant atmosphere at your rental house, that could end up being the determining factor regarding whether they choose your home or another house that is available to rent. 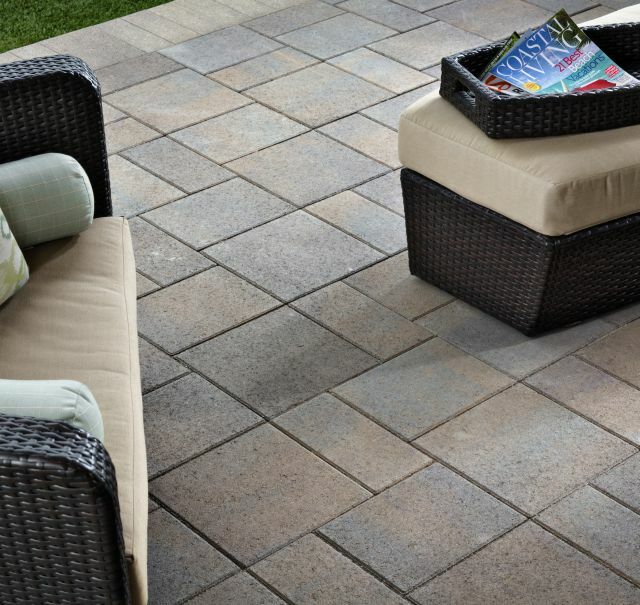 Impressive outdoor living areas with upgrades like durable, attractive paving stones can increase the value of your rental and can increase the amount of monthly rent potential tenants will be willing to pay. A great way to attract higher-end renters is to offer custom upgrades. The key here is to choose an affordable upgrade that is easy and convenient for you to complete. For example, you might want to consider allowing your renters to choose paint colors. Painting the entire house with different, custom colors may not be in your budget, but even offering to paint one accent wall in a color of their choice is a great way to set your rental apart from others. Make sure to include this in your advertisements, since this is the type of thing that will catch the eye of potential renters. Necessary maintenance and repairs are generally not considered upgrades, but taking care of safety concerns is simply a smart move that can save you money and help you increase your income. If there are walkways with broken concrete, jagged rafters hanging from your patio ceiling or nails sticking out of broken fence boards, you can be sure that better renters are going to forgo your property and look for something safer that suits them better. Good renters want good landlords, and a home that has safety concerns or shows signs of disrepair makes you look more like a slumlord than a responsible landlord that takes care of your tenants. Replace broken or uneven concrete walkways with paving stone paths, and fix or replace fences, eaves, cabinet doors or door frames that have seen better days. The importance of curb appeal can be just as relevant when renting a home as it is when selling a home. While interior features usually have a bigger impact on which home potential tenants ultimately rent, it is your home’s exterior that they see first and that gives them the first impression of your rental. This means that upgraded landscaping can make a difference in how quickly you are able to rent your property and the rental rate you are able to charge. When landscaping a rental, your choice of plants and features is particularly important. This is because you need to be concerned with more than just how the landscaping looks. You have to worry about whether or not your tenants are going to care for the landscaping properly or allow all of your efforts to go to waste. Or you have to worry about the amount of money it will cost you each month to hire a service to care for the landscaping. If you pay the water bill, you also need to be concerned with how much water will be required each month to maintain the landscaping, since this could significantly impact your overall income from the property. Your best option for addressing these concerns while still having attractive yards that will appeal to potential renters is to choose low-water, low-maintenance landscaping options. Choosing native plants that thrive with little water or care, including lots of easy-care hardscape features, and minimizing tropical plants, natural grass lawns and other water-wasting, high-maintenance features can help you save a significant amount of money every month. While renters appreciate mature, attractive landscaping, many are turned off by the overwhelming prospect of having to take care of elaborately designed yards with high-maintenance plants or features. Landscaping that is both attractive and low maintenance is far more appealing to most renters, and a well-designed, low-maintenance landscape design can attract renters who are willing to pay a bit more for this perk. Artificial grass is more of an investment than some landlords want to make in a rental property, but those who choose synthetic turf are rewarded with rental properties that have impeccable, lush lawns that are always green. 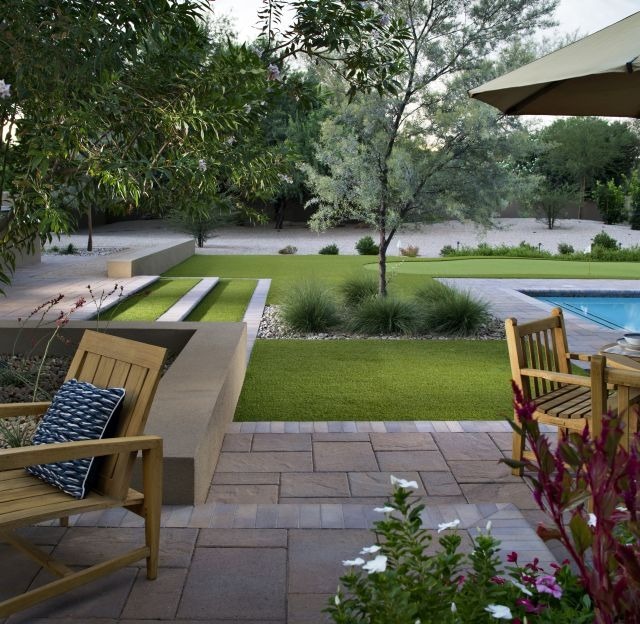 Very little care is required to keep synthetic grass lawns looking their best, which makes them an ideal choice for second homes, vacation rentals and long-term rentals. If you have tall trees or unruly shrubs blocking an amazing (or even a so-so) mountain, valley, city or ocean view, it is time to make some landscaping changes to open up that view. Properties with views are always more impressive, and this is an easy way to set your rental apart from the crowd and make it more memorable. Plenty of people are willing to pay more for a good view, so maximize yours to increase the potential rental value of your income property. Upgrades can help you earn more from your rentals, but it is very easy to let these projects get a little out of hand and end up spending more than you should on renovations that might not make that much difference. Personal taste, not staying on top of their contractors or the desire to make significant home improvements can lead some landlords to going way over budget or making poor decisions that result in enhancements that are not going to deliver the return on investment for which they hoped. To get the most for your money and maximize your potential rental rates, don’t overdo it. Focus on improvements that increase the value of your home and its appeal to renters by creating functional, comfortable living spaces without overdoing it on high-end finishes that will go unappreciated.